Hi again, glad to have you back as we continue our JustRite Papercrafts June release! Today we are sharing Christmas creations again. My card is made with a sweet set called Christmas Stitched with Love Vintage Labels Seven and my background using using Quilted Blocks Cling Background stamp. To create my background I embossed my image with Egyptian Gold embossing powder by Judikins, than I painted it in with watercolor paints. I love the way the color turned out. 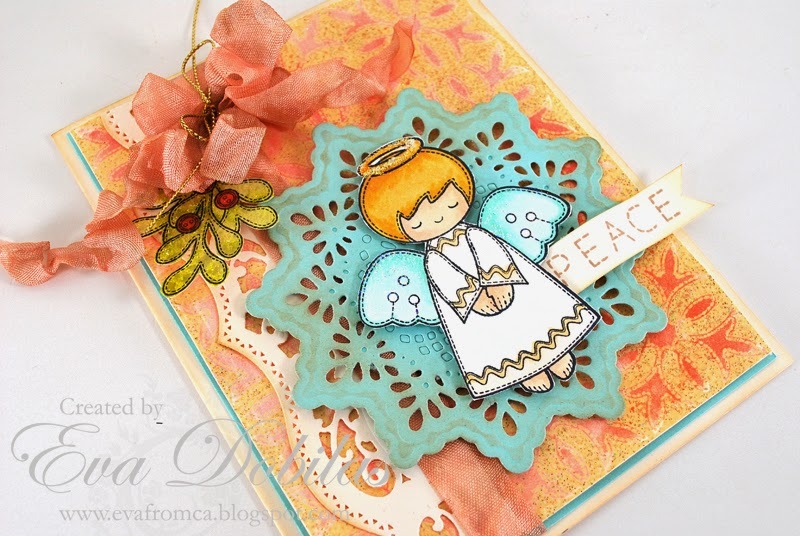 I cut a doily using Spellbinders Delicate Doilies by Samantha Walker and die cut the angel using my Cameo and stamped my image on it and colored it in with Spectrum Noir markers and added a hint of glitter on the wings and the halo by using Sticles. Finally I die cut a pretty border using Spellbinders A2 Bracket Borders Dies One, added it to the front of my card and tied a bow around it using seam binding ribbon. I also die cut a sprig die using the svg files and painted it in also with Spectrum Noir markers and adhered it under my bow. I stamped my sentiment on a strip and tucked it in under my angel. Here is what the Christmas Stitched with Love Vintage Labels Seven stamps look like. 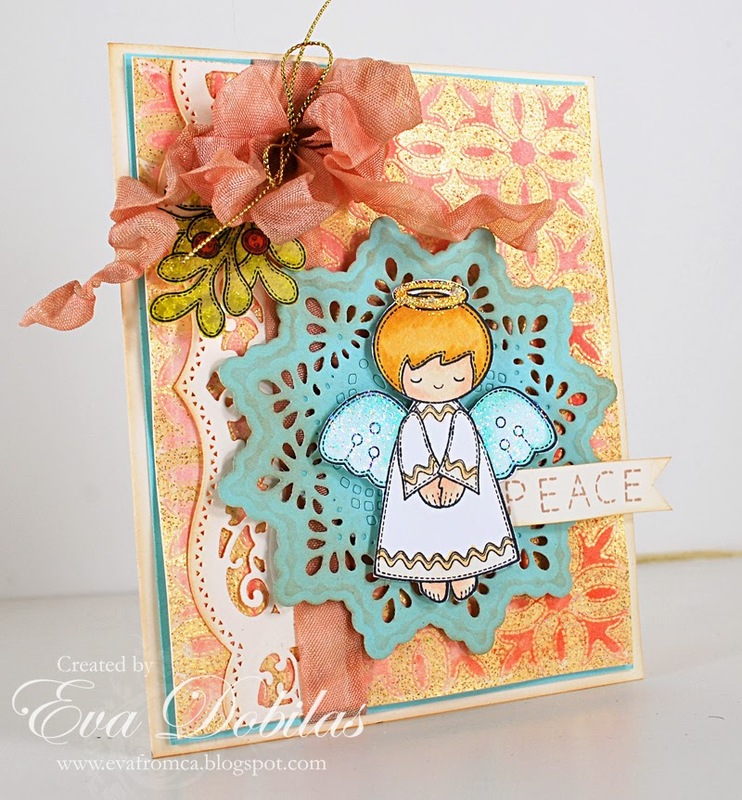 And here is the gorgeous and versatile Quilted Blocks Background stamp looks like. Here are the coordinating Christmas Stitched with Love svg cuts. Hope you like what you see and come back for more tomorrow! For now hop over to my super talented design team mates blogs as they have gorgeous creations waiting for you. Thanks for visiting and hope you come back tomorrow.